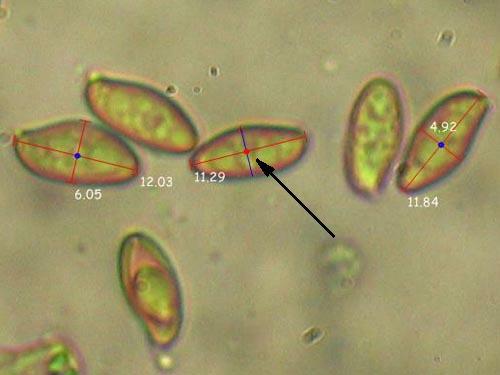 Measuring of the spores and other microscopic structures of fungi is always necessary, in order to reach identification. It is a laborious task when done on the microscope, but it is much easier when structures are measured on digital images by specialized software. I must admit that I am sometimes tired by the expensive and clumsy programs that come with professional microscopes. However there are several free and easy to use options. I have recently come across one nice program, which caught my eye. I would like to present it here. Here is my impression which I get from the quick testing of this suite. The installation is fairly simple; you just download and run a small installer, which initiate the download and installation of the suite. Network connection will be necessary for that, but you can alternatively choose to download the entire installation package and manually start the process. The installation is absolutely automatic and the speed largely depends on your computer; it took some time on mine, but it was acceptable. Piximetre runs on both 32 and 64-bit machines. It requires Windows operating system and has impressive compatibility working under Windows XP, Vista and Windows 7. I run mine on Windows XP. Framework NET 4.0 is needed, so you must have it preinstalled; the authors provide link in case you need to set it up. 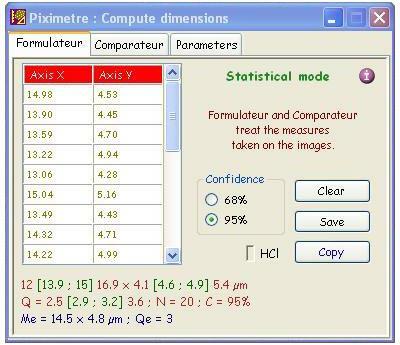 Piximetre supports French and English (US). The working language is automatically set up during the installation following the working language of your PC. Of course it might be changed at any time later. Generally, I find using Piximetre fairly straightforward. I decided not to read the manual and test how user-friendly is its interface. I must say that I was not disappointed. If you have used other software for measuring objects, it is not difficult to get working with this one. Most of the steps and the options are self-explanatory and you gradually get a grip of the program. Opening an image. You do this as expected by the button “Open”, conveniently placed in the upper left corner of the working pane. Alternatively you can use the elegant and easy “drag-and-drop”-option, simply dragging your file to the Piximetre-window. Calibrating the image. This step largely depends on the images you are about to measure. 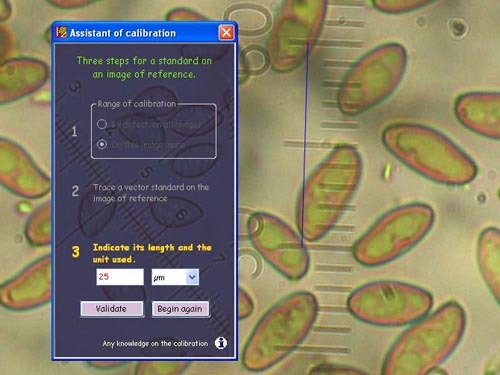 If you are using captures from fixed-focus camera on your microscope, they will most probably contain the necessary information which together with the objective used will allow doing the calibration. Alternatively you set the calibration by drawing a line and pointing its length in chosen units (e. g. micrometers). A user friendly wizard leads you during the process. Measuring spores. Measuring is also fairly easy. You draw a line over the object you would like to measure and the program automatically computes the length of the line and records the value. It is presumed that two measurements will be taken – length and width. Something that I find especially useful is that you get alerted when the line of the second measurement gets in the right position to the first one (see the caption below). The measurements appear on the tab “Formulateur” of the service window on top of the screen. 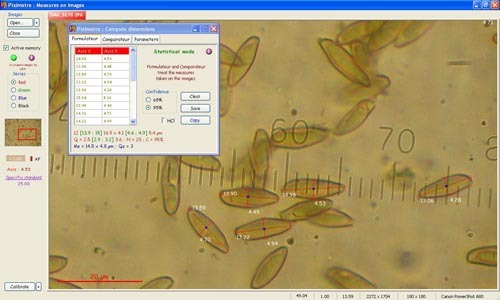 Statistics of length, width and spore quotient are automatically computed while you measure. You get minimum and maximum values, confidence interval (68% or 95% as selected) and mean values. After measurements are done, the values might be exported in txt-file for storing and further use. The function “Export” from the context menu allows you also to export portion or the entire image as it stands on the screen, i. e. with all individual measurements graphically embedded. You can add other information (the computed statistics for example) into this image and you may change its size and compression. Graphic presentation and comparisons. You may see graphical presentation of your measurements clicking on the tab “Comparateur” of the service window. Further on, you may compare several series of measurements e. g. by dragging and dropping data files onto the “Comparateur”. Changing parameters. You can change several parameters of the program from the tab “Parameters” from the service window. Help. You get help messages on several occasions and in some cases there is an “i”-button, giving more information. In addition, there is extensive user guide in French on the home page of the program. Updates. Piximetre is updated regularly, once or twice a year. The program automatically checks for updates, but the update itself always require user’s confirmation. Availability. 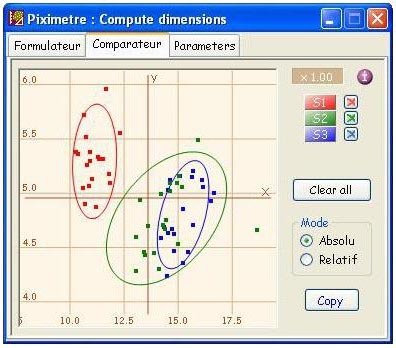 Piximetre is free software, which you may obtain through its web-page.